Donald Trump's campaign manager once boasted that Fox News chief Roger Ailes was on board with Trump's presidential campaign and even signed a written letter offering to provide help, according to a new lawsuit brought by a Republican political strategist. The lawsuit also alleges that Corey Lewandowski, the campaign manager, boasted about Trump's friendships with Ailes, Fox News host Bill O'Reilly and MSNBC host Joe Scarborough. Cheri Jacobus, a Republican consultant, filed the lawsuit on Monday in state court in New York. She accused Trump and Lewandowski of defamation after they portrayed her as a desperate job seeker. Trump had tweeted that Jacobus was "a real dummy" who had "begged my people for a job," while Lewandowski said on MSNBC that "she went off and was upset" when they didn't give her a job, according to the lawsuit. Jacobus claims that the Trump campaign tried aggressively to bring her on board and their efforts, as described in her lawsuit, appear to shed light on Trump's ties with Ailes. In May 2015, during a lunch meeting at Trump Tower, Lewandowski asked Jacobus if she was under contract with any television networks, according to the lawsuit. Jacobus claims in the suit that she said no and that Lewandowski responded by citing Trump's connections -- Jacobus interpreted the exchange as an attempt to induce her into a job with the Trump campaign. "Lewandowski responded ... by stating that Trump was very close to Roger Ailes, the head of Fox, and that after the campaign Trump could probably pick up the phone and get Jacobus a Fox contract," the lawsuit states. "Lewandowski also noted that Trump was great friends with Bill O'Reilly of Fox News and Joe Scarborough, host of 'Morning Joe' on MSNBC." At another meeting at Trump's campaign offices, the suit states, Lewandowski boasted "about yelling at Megyn Kelly" and "Trump's relationship with Roger Ailes." Lewandowski then told Jacobus that he and Trump had dined with Ailes recently "and had assurances that Fox was on board" with Trump's campaign, according to the lawsuit. "Lewandowski then took from his desk drawer a printed copy of an email from Ailes to Trump in which Ailes communicated to Trump that Trump should let him know what Fox could do to help," the lawsuit claims. Fox News disputes Lewandowski's characterization of this letter, as described in the lawsuit. "It's hardly uncommon for Roger Ailes to sign correspondence by offering a helping hand, but it would be a fanciful interpretation to equate a cordial email with providing assistance to a political candidate in the vein of editorial coverage," a Fox News spokesperson said in a statement. "Furthermore, Roger doesn't recall having even met Corey Lewandowski, much less dining with him." The Trump campaign said Monday that the lawsuit is "frivolous," and that it is "an attempt to gain notoriety at the expense of Donald Trump." 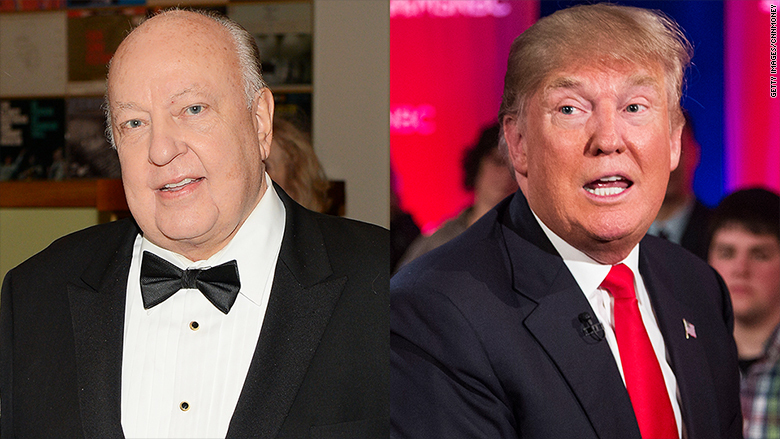 Publicly, at least, Ailes' approach to Trump has been adversarial. On multiple occasions he has issued sharply worded statements defending host Megyn Kelly from Trump's verbal attacks. One statement was so vehement that Trump responded by skipping a Fox News Republican primary debate.